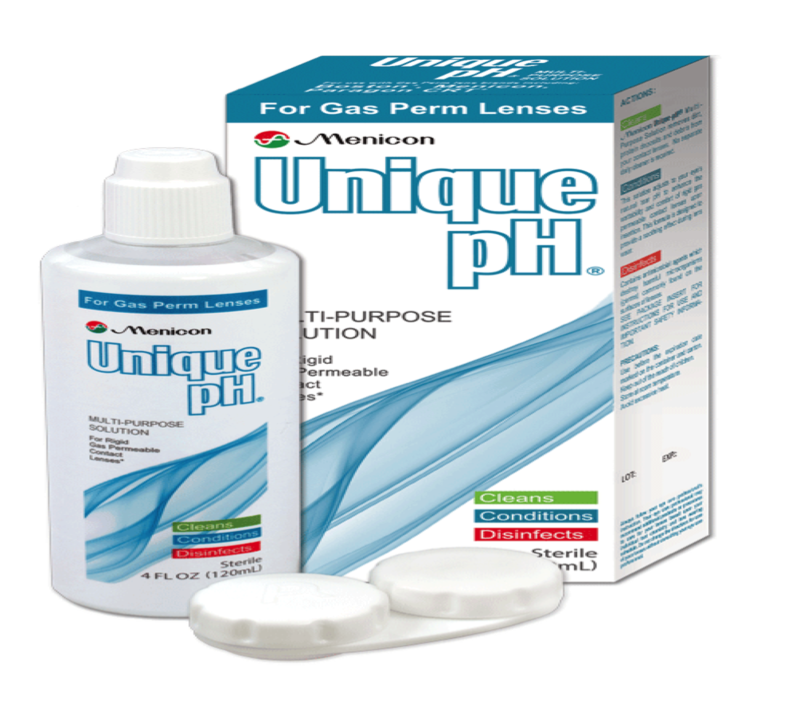 For the best results and health of your eyes Unique PH and PROGENT is our recommended brand of choice for soaking and disinfecting CRT lenses. For the best results and health of your child’s eyes our office recommends PROGENT BIWEEKLY DESINFECTANT since it is the most effective solution available on the market that cleans lenses and removes surface protein deposits after a short soak without manual rubbing. 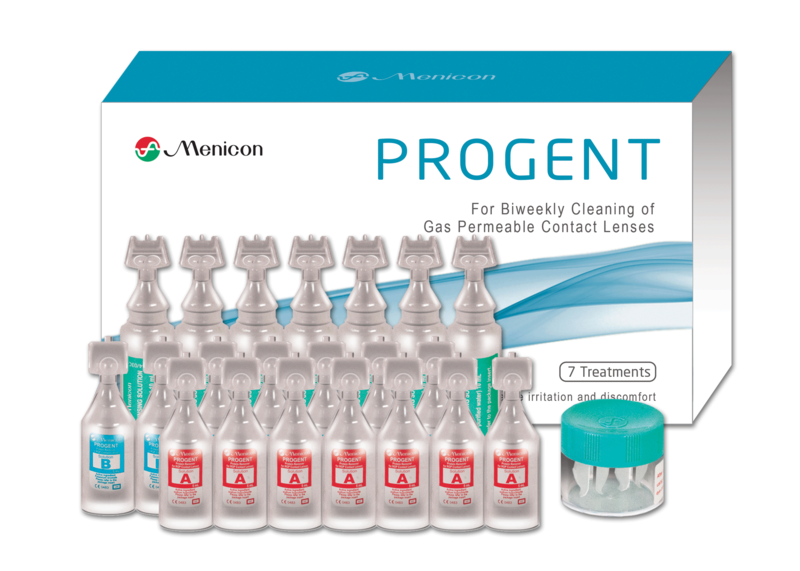 Menicon PROGENT is a highly effective deposit and protein remover, a cleaner compatible with all CRT contact lenses. In fact, it is ideal for the growing number of gas permeable lenses that have surface plasma coatings for comfort that should not be mechanically cleaned or rubbed. Simply soaking the lenses for 30 minutes will ensure the removal of deposits as well as the organisms most likely to contaminate lenses, including bacteria, fungus, molds and yeasts. It is recommended that patients remove proteins with Menicon PROGENT bi-weekly. Once you have registered, you will have access to Menicon’s line of lens care solutions. Always contact your practitioner if you are planning to change recommended solutions!!! There are other, however less favorable solutions that are available in TRAGET, WALGREENS ANS CVS BOSTON SIMPLUS , CLEAR CARE or PEROXY CLEAR might be alternatively used, however they are less likely recommended by Ortho K specialists around the world. First, discard any leftover solution in the case. Clean the case with warm water; allow case to air dry when not used. To avoid mixing the lenses, always clean one lens at a time. To clean your retainers place one lens in the palm of your hand and fill with Unique PH or Boston Simplus. Place your finger inside the lens and rub around your palm in circular motions for 30 seconds. That is how to clean the “outside” of the lens. Place the disinfected lens into case and completely cover it with Unique PH / or Simplus Solution. Securely close the case and repeat steps 1-3 with your other lens. Lubrication Drops: are used before retainer lenses are placed in the eyes at night and before they are removed in the morning. All those drops are available in CVS, TARGET, WALGREENS. RECOMMENDED!!!! Refresh Optive Preservative Free is a lubrication drop made by a company called Allergan that is Preservative free and it comes in vials. It’s placed in the eyes before retainer lenses are put in at night and before they are removed in the morning. Refresh Liquigel is a lubrication drop made by a company called Allergan . It’s placed in the eyes before retainer lenses are put in at night and before they are removed in the morning. It is not preservative free. It is a thicker drop that makes your lenses more comfortable when you put them in at night. It is not preservative free so might in some cases crate residue on lenses. Gently move the lens back to the center of the eye by using your eyelids. Push the lens onto the cornea while the eye is open, by pushing the lens with your EDGE of your upper or lower eyelid. NEVER place your finger directly over the center of the lens and drag it into place. Place your index finger at the outer junction of your upper and lower lids; stretch the skin outward and slightly upward while keeping your eyes wide open. Cup your other hand below your eye and blink briskly. The pressure of the eyelid will pinch the lens and the lens will drop out into the palm of your hand. Hold your eye WIDE open. Place one finger on the very edge of your upper lid and the finger of the other hand on the very edge of your lower lid. Push your upper and lower lid against the eye, making sure that you are not pulling the lids away. 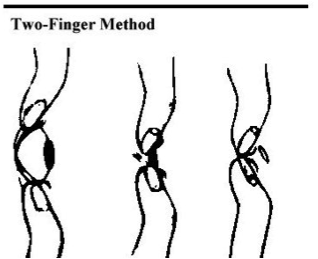 Press against your eye and then slide your fingers together. Keep your fingers in a straight line up and down; otherwise when you close your eye the lens will go towards one of the corners of your eye. If the lens de-centers onto the white part of your eye, it must be re-centered before repeating the removal procedure. Maintaining pressure on your lids, bring your two fingers together in a hard blinking motion.